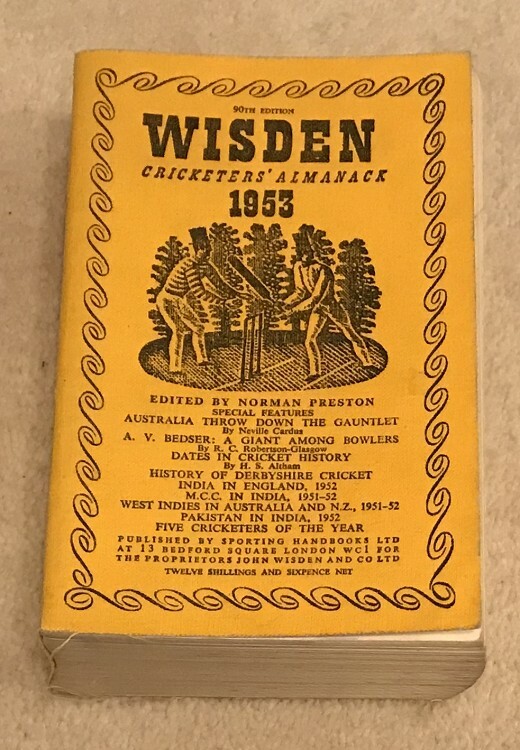 This lot is a 1955 Original Linen Wisden. The covers are very bright without any marks, tiny bowing to the spine, nice inside, a touch of freying otherwise a very nice book. Very nice and clean white pages. Please see the large photographs. More Photos on request.